One of the biggest food trends going today in the world of cookbooks is small, bite-size desserts. But, bite-size food isn't just for dessert. You can also make bite-size savory appetizers that can also serve as a meal. 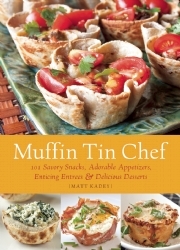 There's a new cookbook out there that covers all realms of the trend, Muffin Tin Chef by Matt Kadey, published by Ulysses Press. 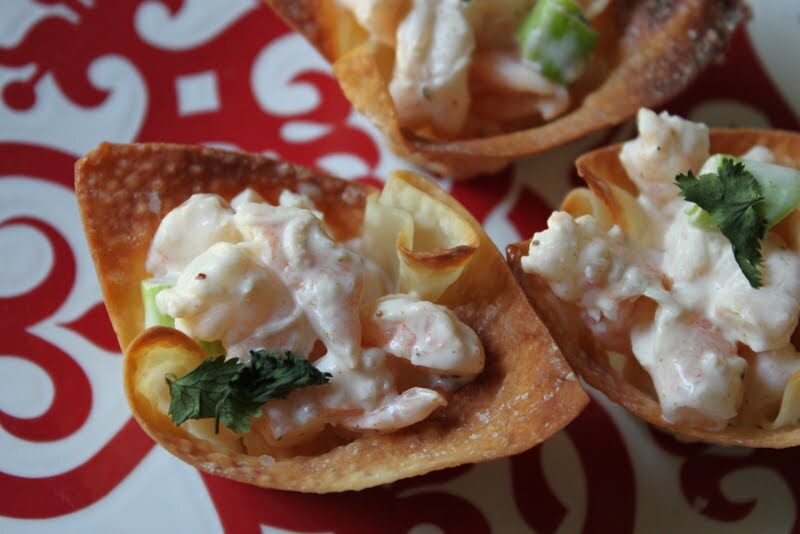 In Muffin Tin Chef, Kadey has a recipe for every meal of the day. I'm sure that most of you own a muffin tin or two. The recipes in the cookbook call for either mini, medium, or jumbo muffin tins. It's nice to be able to be able to utilize your muffin tins for more than just cupcakes or, well, muffins. And, the recipes run from gourmet to simple. 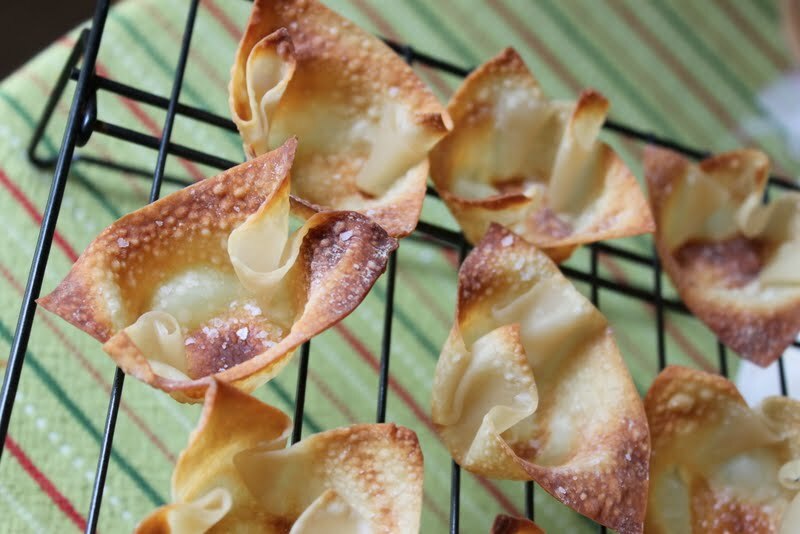 From Baked Eggs in Prosciutto Cups to Baked Oatmeal, from Goat Cheese-Mushroom Phyllo Bites to Spinach Dip Bowls, and from Yorkshire Pudding with Mushroom Gravy to Corn Cakes, and Lemon Cakes with Blueberry Compote to Pecan Tarts, you'll find a recipe that appeals to your tastes and cooking style. Muffin Tin Chef is wonderful cookbook for you if you're interested in entertaining in a new way or if you're concerned about portion control and love the idea of a muffin-size serving. And, because this cookbook covers so many food courses, it's the perfect comprehensive bite-size cookbook for you. 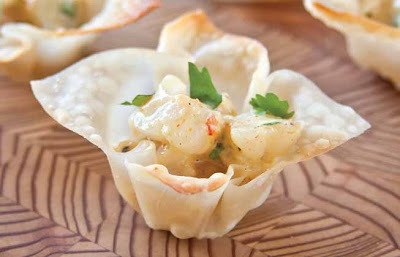 I chose to highlight a recipe from the appetizers chapter that features some of my favorite flavors, curry and cilantro. They were so simple to make and the perfect appetizer for a warm evening on the patio. Preheat the oven to 375°F. 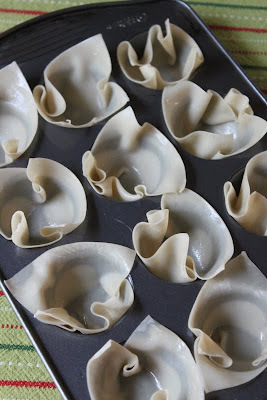 Using a pastry brush, lightly coat both sides of the wonton wrappers with the oil. Press each wrapper into 24 mini muffin cups, making sure the bottoms are as flat as possible. Lightly sprinkle with salt and bake until golden and crisp, about 10 minutes. Carefully remove the wrappers from the muffin cups and cool completely on a wire rack. Disclaimer: The publisher provided me with a copy of the cookbook but the opinion expressed here is my own. What a terrific idea! 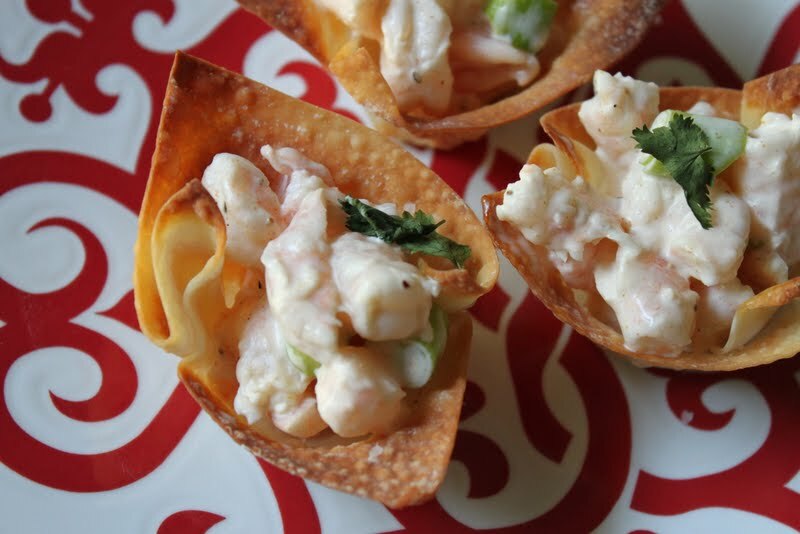 The shrimp cups look delicious and would be a perfect party snack. This looks awesome, and sounds very easy to make! I will be trying this for my family. Thanks! Glad I came across this..... was looking for a way to use my wonton wrappers.... Can't wait to try this!